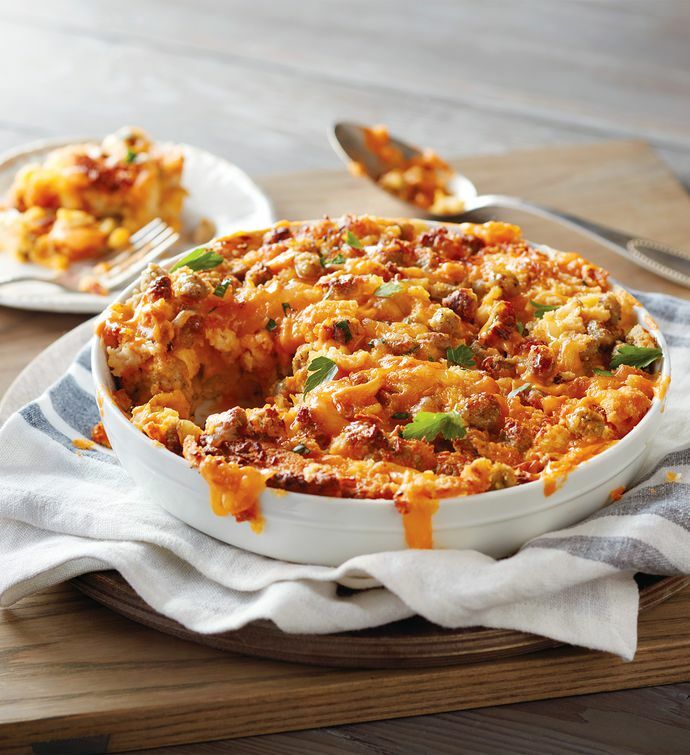 Start the day deliciously with this savory and satisfying breakfast casserole. Cubed French bread is soaked in an egg and cream mixture, then Italian sausage, cheddar cheese, and dry mustard is added to the dish. This mouthwatering casserole is handcrafted fresh from the bakery, immediately frozen, and delivered to your door, ready to bake in your own oven. The tempting aromas will fill your kitchen until it's steaming and ready to enjoy.